Mumbai August 1, 2014: AXE celebrates the signature scent of a man with it’s first-ever collection of AXE Signature Body Perfumes. This definitive collection features four invigorating fragrances that bring alive the masculine scents with a blend of oriental spices and sweet woods, and are perfect for all occasions. AXE, the number one men’s fragrance brand in India, has been inspiring men to create their mark and impress women all over the world. The new signature collection encourages men to make a lasting impression wherever they go. Innovative yet classic, the bottle takes the form of an elegant decanter to pack a punch and get its wearer noticed. Available in four zesty variants – Suave, Mysterious, Intense and Rogue, each of these definitive fragrances is a combination of sensual, warm and sophisticated aromas that you will love at first sniff and that will impeccably personify the true scent of a man. It provides its wearer a lively, spicy bouquet with stimulating notes that include green hazelnut, tonka, tahitian vanilla, mimosa flower, rosemary and lavender. It's an evocative but mature construction that's great for a broad variety of casual activities. 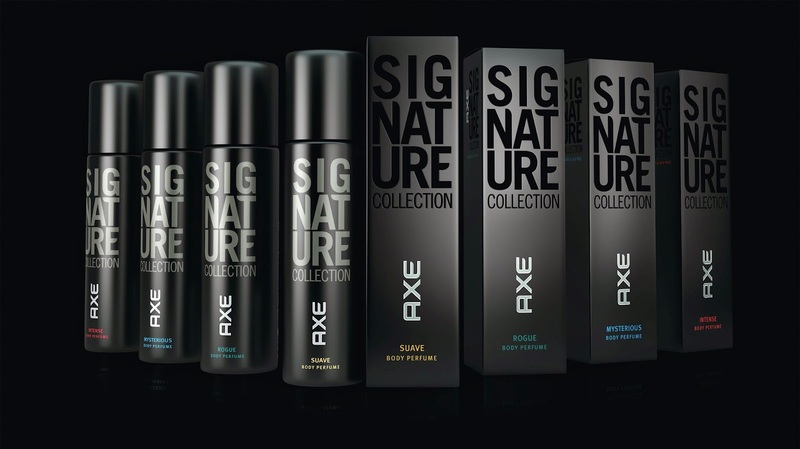 With the new AXE Signature Body Perfumes, let your fragrance be your signature scent! is sure to make a signature statement. 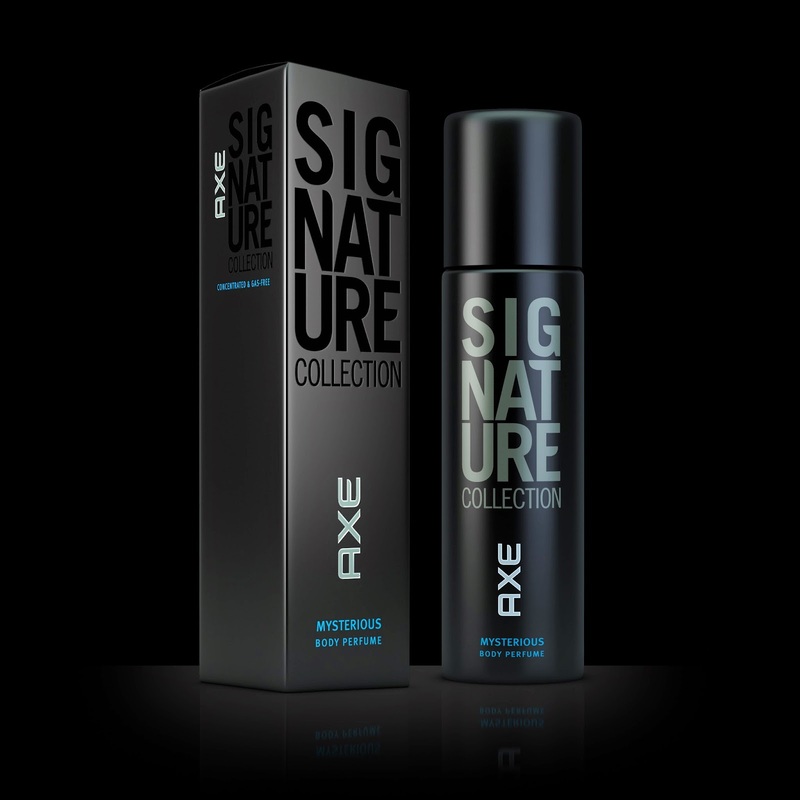 With AXE Signature Body Perfumes, don’t fade away, leave your signature! The new AXE Signature Body Perfume collection will be available across the country from July. Available in four variants, each fragrance will be priced at Rs. 225 for 122ml can. A tour-de-force of irresistibility; against his strength & potency, surrender is inevitable AXE Intense is an unforgettable beat of green hazelnut and the sensual, addictive Tahitian vanilla and Tonka bean meet the bold warmth of creamy woods. For the charming, confident & elegant, his sophistication cuts through like a hot knife AXE Suave is a classy fragrance with a body as aromatic as floral. It combines the attraction of the Mimosa flower together with cheeky herbaceous and spicy not. The dry out is surprisingly sensual, warm and persistent. Playful and mischievous for him, rules are meant to be broken and so are hearts AXE Rogue is a combination of crispy citrus notes followed by an aromatic blend of rosemary, lavender and minty geranium. The dry out is sensual and warm combining the sweetness of vanilla notes with the masculinity of dry woods and amber. AXE Mysterious is a cocktail of watermelon, green apple and pineapple infused with a crisp watery accord. Cedarwood, tonka bean and touches of patchouli round out this sophisticated fragrance. Good to see the new launch! Nice post, Axe is a great brand!